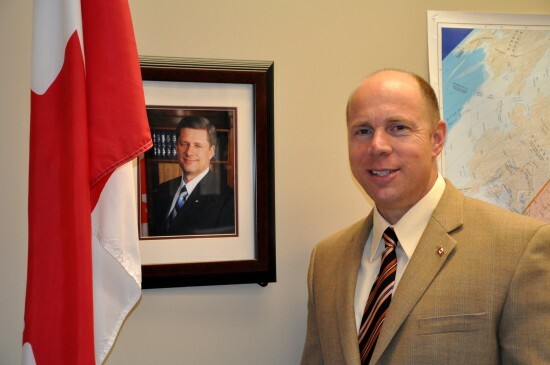 Kelowna-Lake Country MP, Ron Cannan. So Stephen Harper’s Conservative government has decided to add 30 seats to the House of Commons. If the proposed change passes –and it looks like it will given the cautious notes of approval sounded by the Liberals– Ontario, Alberta and B.C. will end up with more power and Quebec will end up with less. This is a move that has been a long time in coming. The Conservatives have never been enamoured with Quebec and their antipathy towards the province was exacerbated in the aftermath of the 2008 federal election when a failure to make gains in Quebec cost them the majority government they so desperately crave. The Conservatives made a full court press to woo Quebec voters in 2008 and early on in the campaign, polls had them neck in neck with the Bloc Quebecois. A majority was within their grasp. But then cuts to arts and culture and Prime Minister Stephen Harper’s proposal to further toughen young offenders legislation started making headlines and the Conservatives support in Quebec plummeted. When it was all said and done, Harper and his crew ended up with 10 Quebec seats, the same number they had going into the election. They were also stuck with another minority government. Cannan said that by and large, Canadians have become more comfortable with Stephen Harper as prime minister, though he was disappointed the Conservatives couldn’t make any gains in Quebec. “We worked really hard to ensure we would have some additional representation in Quebec,” he said. Asked if Quebec was the last nut the Conservatives had to crack to eventually form a majority government, Cannan replied no, that what needs to happen is a realignment of parliament giving the West more seats. It should be noted however that under Harper’s proposal it’s Ontario which will actually end up with the bulk of the new seats, with 18 to the West’s 12. But those seats will likely be in suburban Ontario, where voters are becoming increasingly Western in their perspectives and voting habits, favouring tougher crime laws, traditional family values and preferring tax cuts to expanded social programs. The West it seems, is moving East.